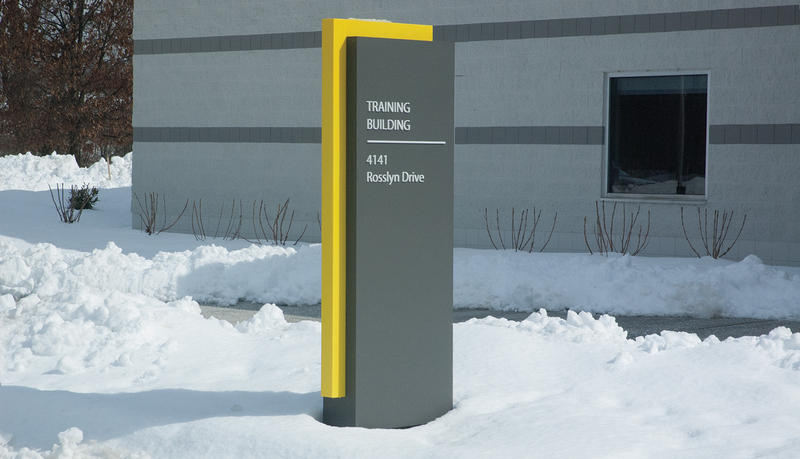 A global corporation located in Cincinnati, Ohio, VEGA Americas combines manufacturing, distribution, and service for products that represent the most sophisticated process measurement technologies anywhere in the world. 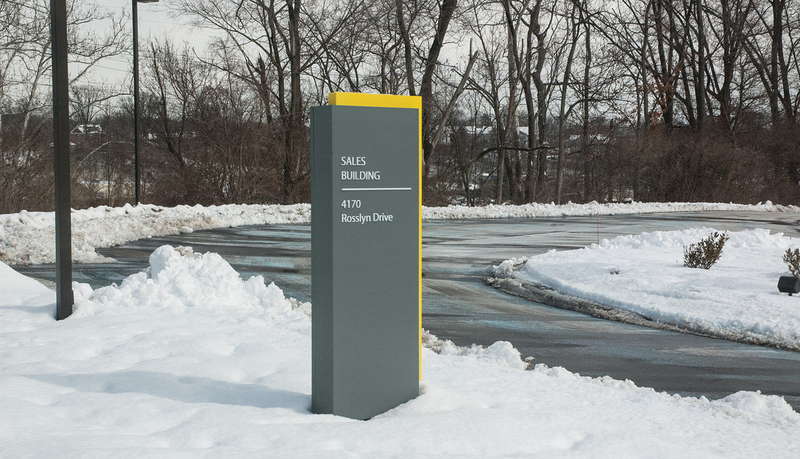 A recent renovation of the three campus buildings included reworking the on-site truck routes due to difficult maneuverability for semi-truck traffic. 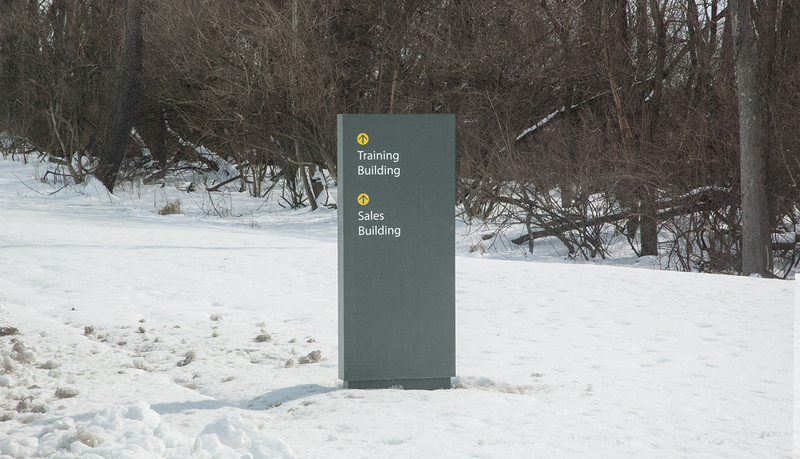 New signage was needed for both the building IDs and directional wayfinding throughout the campus. 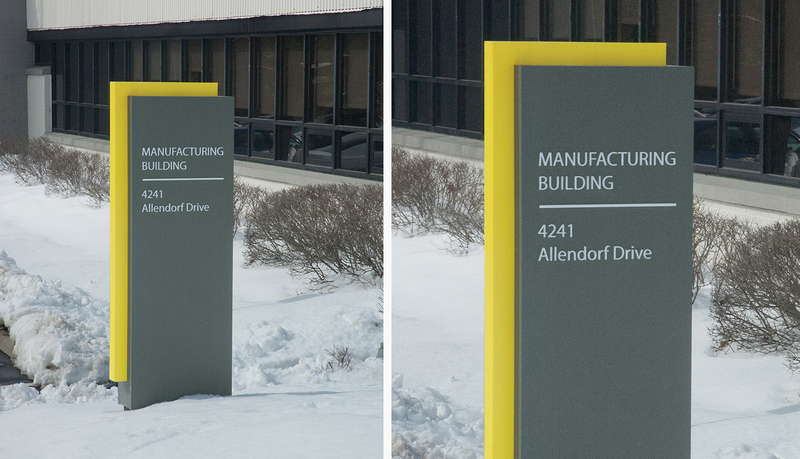 Yellow is Vega America’s signature color, so the design included fabricated acrylic panels, in yellow on the top and one side of the building ID signs. 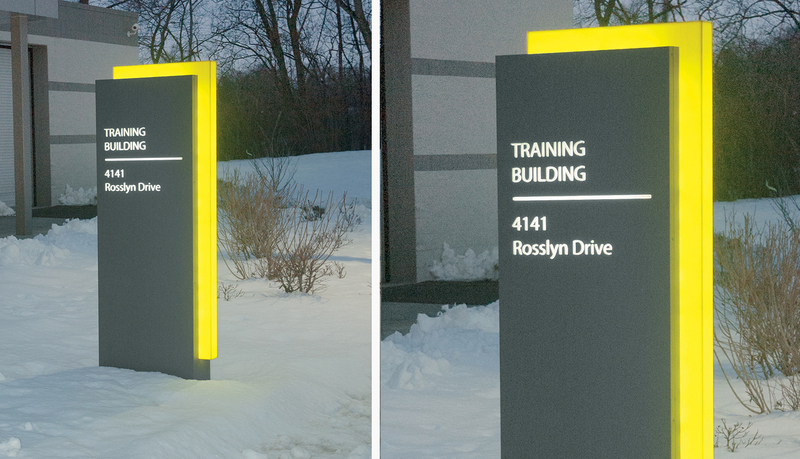 It was challenging to get a uniform and consistent light output with the requested yellow color of the fin. 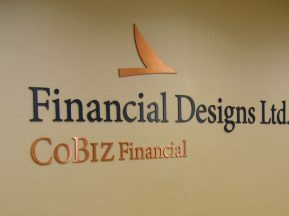 This was achieved by painting the fabricated acrylic fin elements with Akzo-Nobel Grip Flex translucent sign paint. 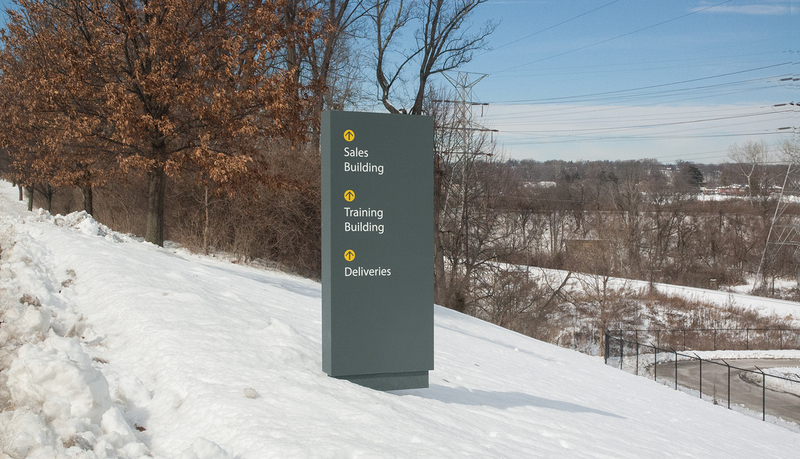 These signs were internally illuminated by LED. 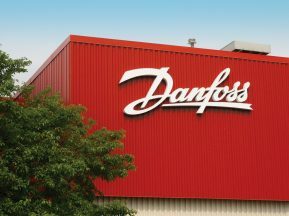 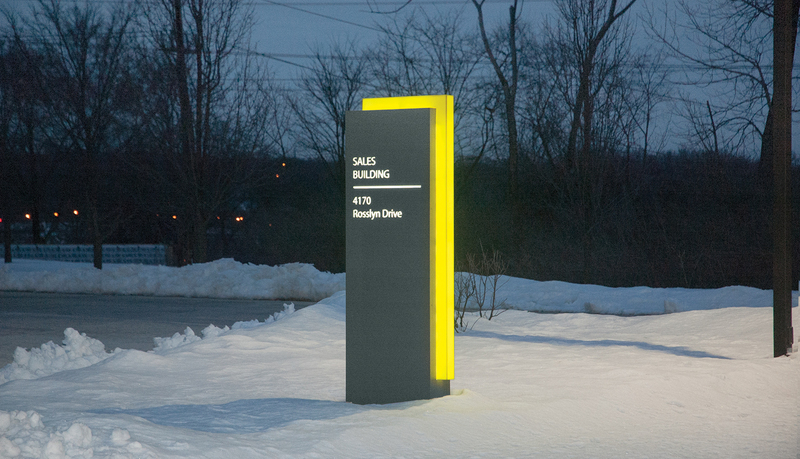 The illuminated signs were chosen to call attention to the building entrances. 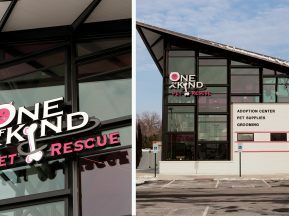 With three buildings, it was critical to relay this information to the visitor in a coherent way. 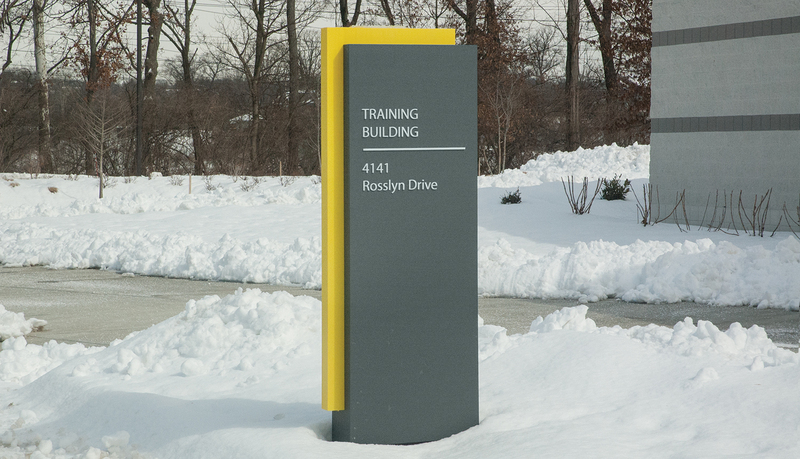 The design of the illuminated acrylic fins created an interesting test as the decorative accent/fin portion was crafted from a dissimilar material than the primary main sign body. 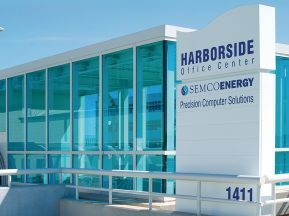 It was critical for both elements to connect tightly and seamlessly, while allowing tolerable space for expansion of the respective materials.